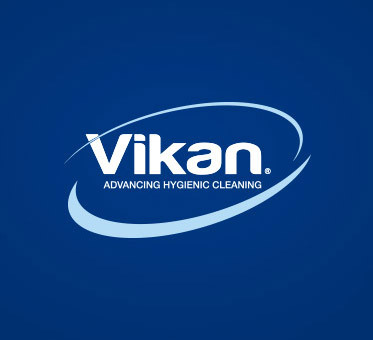 Vikan cleaning tools are developed based on our unmatched expertise in food safety and hygiene. In addition to putting our knowledge to work in our products, we are energetic participants in conferences, seminars and the general debate about hygiene and food safety. We make sure that our knowledge is up to date, through membership of expert technical groups like EHEDG, IAFP and Campden BRI, and ensure that our sales representatives and distributor partners are willing and able to share our knowledge with customers. We apply our expertise every day in our research work, our knowledge-sharing activities, and our product development work. At the centre of our work with food safety and hygiene is our dedicated Hygiene Department, led by Debra Smith, a recognised expert in the field. Vikan hygiene specialist Debra Smith explains how our Hygiene Department can support you with expert knowledge and advice. Let Vikan advise you on selecting the right cleaning tool based on soil type, surface type, required standards and your cleaning staff. A cleaning tool is only as effective as it is used properly. Make sure you have a validated cleaning programme, and that you use your tools optimally for the cleaning job at hand. To function optimally throughout their lifecycle, Vikan cleaning tools must be cleaned and maintained properly. Find out how to make the most of your Vikan products.